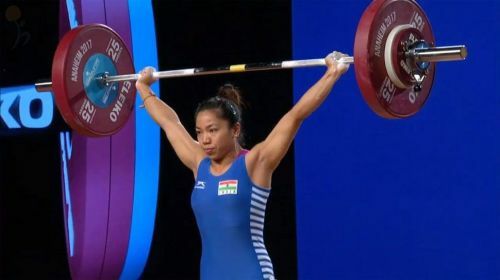 New Delhi, May 28 (PTI) World champion and Commonwealth Games gold-medallist Mirabai Chanu has requested the Sports Ministry to install CCTV cameras in her room at the national camp as she fears that her food could be spiked to implicate her in a doping scandal, the Indian Weightlifting Federation (IWF) said today. Mirabai has been subjected to an astonishing 45 dope tests in the last four years but has come out clean each time. In fact, the IWF has requested the ministry to install CCTV cameras at important locations like the training and dining halls as well as at other places where the weightlifters come in contact with outsiders. "We have written to the Sports Authority of India and Sports Ministry to install CCTV cameras at the national camp at NIS Patiala so that we can know what is happening there. We don't want any doping case from our weightlifters," IWF Secretary General Sahdev Yadav told PTI. "Mirabai has also written to the ministry through us to install CCTV cameras inside her room so that she can monitor who comes in and goes out of her room. "You never know somebody may just come in and put something inside her room or her food or drink while she is at the washroom or somewhere. She does not want to take a chance," he added. Yadav said the Sports Ministry has agreed to install CCTV cameras at the training hall early next month. "The Ministry has told us that CCTV cameras will be installed at the training hall early next month. The weightlifters are currently training at the SAI Centre at Shilaroo (in Himachal Pradesh). "They are returning to NIS Patiala on June 3 and we are expecting the CCTVs to be installed at the training hall by then," he added. Asked if the ministry will also agree to Mirabai's request, he said, "Why would not the ministry agree to that? She is a world champion and what if any untoward incident happens to her, who is going to lose out? It will not only be her loss, it'll be for everybody." National chief coach Vijay Sharma, who wrote the letter to the sports ministry, said in the past two weightlifters had complained about suspicions of somebody spiking their food. "It is not a good atmosphere there (at national camp at NIS Patiala) and we have the fear that some outsiders may do something and spike food and drinks (with banned substances). We have to be careful," he said from Shilaroo. "There was a case some time ago that two weightlifters tested negative initially but after five days they turned out positive for banned substances. These weightlifters had complained that their food could have been spiked," he added. On Mirabai asking for CCTV cameras specifically for her, Sharma said, "She does not have any earlier incident of other people trying to do something with her food or drinks but she wants to be cautious." The weightlifters will train for three weeks in Thailand as part of the preparations for the upcoming Asian Games (August 18 to September 2) in Indonesia. They will directly reach Jakarta from Thailand a few days in advance so that they can acclimatize with the conditions before the Games.